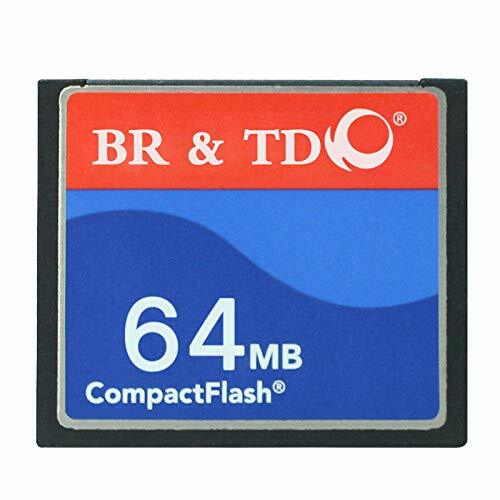 Product description Brand: BR&TD Capacity: 64MB From the Manufacturer Fast and built to last, CompactFlash Cards are perfect for everyone who loves taking great digital photos, and wants a memory card they can count on, every day. CompactFlash is based on flash memory semiconductor technology. Data, audio, video and images are stored on flash chips rather than the conventional, mechanical, rotating disk drives found in most computers. Flash is non-volatile memory, meaning that once data is saved on the card, it will be retained even if the system's power supply is switched off. Flash is also solid state and has no moving parts. Disk drives have many moving parts and are subject to mechanical problems. Flash is much more rugged and reliable and offers users considerably more protection of data. Mechanical disk drives found in portable computers typically have an operating shock rating of 100-200 Gs, which is equivalent to drop of less than a foot. CompactFlash has an operating shock rating of 2000 Gs, equivalent to a 10-foot drop to the floor.